Starbucks PH released a very limited, Special Edition Starbucks Card perfect for collecting or to show off to your friends. This Starbucks card is the not usual plastic cards with design drawn on it. 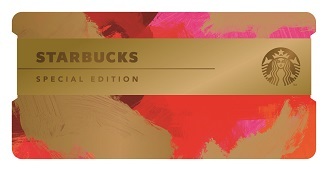 The Starbucks 2016 Special Edition Card features a golden metal horizontally placed on the card houses the Starbucks logo. By loading a consumable amount of ₱2500.00 you can already take home this Starbucks Special Edition Holiday Card with Metal Wrap. You can use this to complete and accumualate stars, if you're collecting it to get the 2017 Starbucks Planner. Max of 2 cards can be availed per customer per day. So where can you get one?